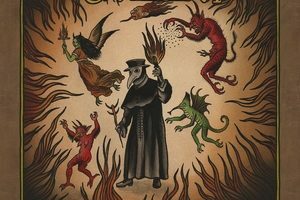 Start your week off with an interesting combination of some doomy and folk metal vibes as we at DR have been tasked with premiering “Flagellant’s Song” from Apocalypse Orchestra. It features some gloomy yet catchy integration of traditional folk metal instrumentation into a melodic and doomy march, highlighted by some excellent vocal work. The track comes from the band’s upcoming album, The End is Nigh, due 12 May on Despotz Records. 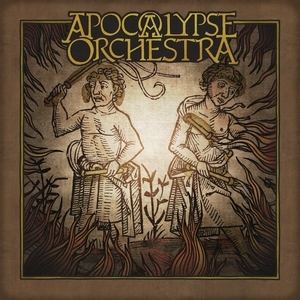 With one leg in medieval times and the other in modern metal, APOCALYPSE ORCHESTRA weaves their own special tapestry of music. The tones of the hurdy gurdy and the bagpipe intertwine with heavy guitars, allowing music separated by over 800 years to meet. 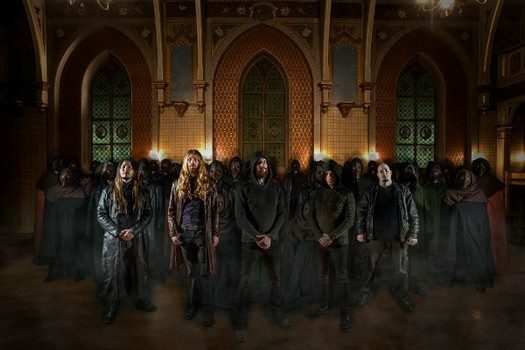 The band was formed by musical partners in crime Mikael Lindstrom and Erik Larsson in Gävle, Sweden, bonding over their love of folk music and sludgy metal. With the idea to combine the two genres and having a wealth of original music and lyrics they decided to incorporate melodies from as far back as the 11th century in order to round out their vision. The idea was to create an homage to a bygone era.